The Earth and Oceans team is dedicated to creating the perfect retreat experience for our guests. Meet our ambitious, highly certified professionals who want to help inspire others to reach their goals. Earth & Ocean invites you to experience any of our trips in a supportive environment, exclusively with professional retreat leaders. 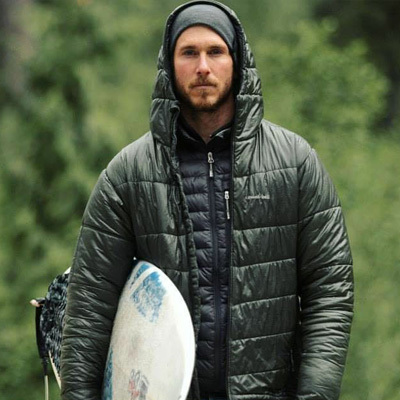 Our guides and instructors are passionate outdoor enthusiasts who love spending time in the mountains and oceans. All of our local guides are certified and bring with them a wealth of experience specific to their qualifications. They take part in ongoing education and training sessions and remain current with the ever-changing standards within the industry. Founder, CSGA Level 1, CAA Level 1, OFA Level 3, CSPS, CSIA, Massage Therapist, RYT 200 Yoga Teacher, Restorative yoga Level 1 & 2 and Equestrian & Western Child/Junior Champion. 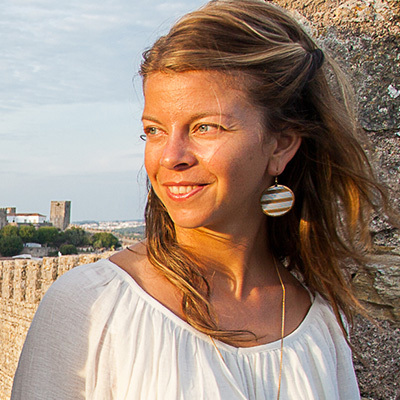 As the owner and business manager of Earth & Ocean Travels, Galena has a passion for world travel, holistic nutrition and physical activities. 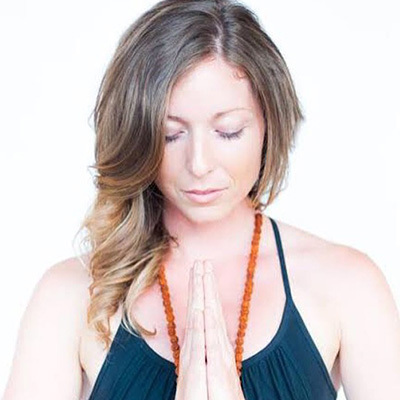 She is a graduate of the Maui School of Therapeutic Massage, 200hr Yandara yoga teacher training program, Restorative yoga teacher training level 1 & 2 through Semperviva Yoga Studio, and holds her Level 1 with the Canadian Ski Guide Association. Galena is a mother to the light of her life, her beautiful daughter named Snow. Her diverse background allows her to create a lifestyle she and her daughter love and meet people from all around the world who share similar passions and philosophies. She is also, as of March 2017, a Stage 3b breast cancer survivor, giving her a new outlook and greater meaning of life then ever before. Started in 2011, originally named, Cat Sass Cat Skiing, founder Galena Rose developed an all women's outdoor adventure company incorporating world class skiing, mountain biking, whole food nutrition and yoga into retreats offered all over the back country of British Columbia. Cat Sass' mission was to empower women in the backcountry and foster balance off the mountain. As her dreams came to fruition and this vision grew into more then just snow and tacky dirt retreats, embracing the true balance of all elements, Earth & Ocean Travels was born. Earth & Ocean Travels hosts a variety of all women's, co-ed and family style international retreats focusing on surfing, mountain biking, skiing, yoga, wellness and horseback riding. Our mission is to share a deep love for life with others, creating a supportive and non-intimidating environment that refreshes the body, inspires connections, awakens the mind and builds confidence. A place where Galena says "we can all find our true callings and feel supported and guided to live life with excitement, intention and gratitude. A creative exploration designed to help guests experience a profound reclamation of their inner connectedness with life and the great outdoors." 500 Hour Yoga Teacher Training, HBSc, HBA, BEd focusing in Outdoor Education and Leadership. www.stretcheveryday.yoga "Let the beauty we love be what we do" -Rumi Sarah teaches Science for SelfDesign Online High School, and teaches Yoga to both drop in students and aspiring yoga teachers through biannual teacher training's in Nelson, BC. Sarah brings basic anatomy into all yoga classes and invites students to be lifelong learners fostering curiosity and interest about how our bodies move. Her Power Vinyasa and Vinyasa classes are a dynamic flow integrating breathing techniques, alignment, and core work, with exciting and creative sequencing. Her Yin classes are blissful and rejuvenating. When practicing with Sarah, expect to see dynamic sequences, alignment based adjustments, and beautiful themes woven into each class to invite you in deeper to your practice. When not practicing and teaching yoga Sarah loves trail running, surfing, skiing, kite surfing, sailing, swimming and exploring beautiful places. A native of Quebec, Marie-Soleil moved to the West Coast to follow her passion for traveling and seeking new adventures. 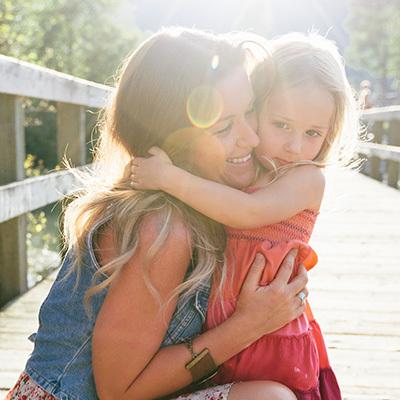 She made Whistler her home in 1997 for the outdoor activities, healthy lifestyle and laid-back community. During these last 19 years she has traveled the world and acquired training and knowledge about massage and wellness, with clinical studies in massage and spa therapy on the island of Maui, Hawaii in 2003. Since this first training, she is always seeking to learn new modalities to be able to offer the best suitable treatments for her clients and help them along their healing path. Her recent certification as a Cranio SacraI Therapist expanded her understanding about the relation between body, mind and spirit as well as trusting her intuition during sessions with her clients. Early in 1998 Marie-Soleil found a connection with yoga, inspiring a decade plus of practice and leading her to recently complete her CYA-RYT 200 hrs certified yoga teacher training on the Big Island of Hawaii, 2014. A passionate person by nature, she loves to treat, teach and help others with the practice of a healthy lifestyle. The Summer 2015 her passion for the outdoor and to teach, brought her to create a Stand Up Paddle board program. After many years paddling oceans, lakes and rivers it was just a matter of time before she decide to combine her yoga and love for the water element. She is now a certified SUP Yoga and SUP instructor. 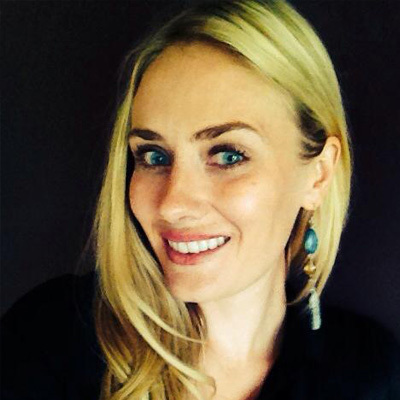 Kelli is an award winning acupuncturist at Elements Wellness Centre in Vancouver, BC. She is a graduate of the Doctor of Traditional Chinese Medicine program at the ICTCM. Kelli started her health career as a nutritionist and over the years has continued to add on more modalities. Her studies have included NAET allergy elimination, NIS (Neurolink), Reiki levels one and two, Craniosacral levels one and two, Reflexology, Acupuncture Facial Rejuvenation and Cosmetic Acupuncture, NADA (national acupuncture detox association), Auricular Acupuncture, Women's Health including infertility and hormone balancing, Restorative Yoga levels one and two. Kelli's love for natural health and wellness stems from her own personal health journey. She loves to work one on one with patients and in group settings to help give the body the tools it needs in order to heal. She is always amazed by the bodies natural ability to heal when supported in the right way. When Kelli is not working you can find her out at the beach or in the woods hiking with her Bernese Mountain Dog named Tuco. Lindsey grew up in Portland, Oregon where outdoor activities were just part of the daily routine. She spent her youth equestrian show jumping horses, skiing, snowboarding, playing soccer, basketball, running track and riding her bike. 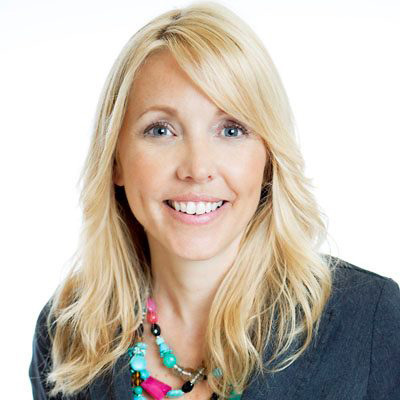 She has a BA in Journalism from the University of Arizona, and took her skills first to sports marketing then to the advertising and public relations world. In 2001 after needing a change of pace, Lindsey had an incredible life-changing experience on the popular CBS television show, Survivor: Africa, which she is happy to talk about, so just ask her! 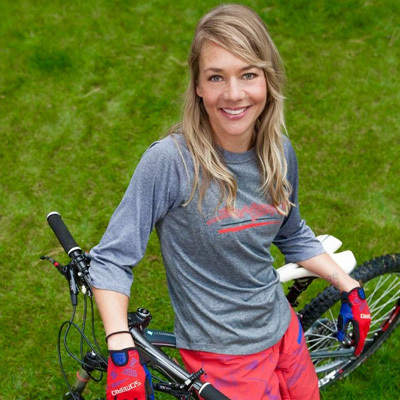 Lindsey currently handles most of the business behind The Specialized AllRide Tour, with her husband Pro Mountain Biker Kirt Voreis and is extremely enthusiastic about promoting the mountain bike lifestyle. Together they sponsor kids, go on shop rides with customers who can demo their Specialized bikes and they find creative ways to promote the sport. Lindsey makes videos to inspire women to get into mountain biking and she travels the country teaching at women's clinics and inspiring women when she speaks of how she relates mountain biking to life. When not on the road racing Super Ds with the AllRide crew, Lindsey is busy guiding mountain bike adventures. She is always excited to share her passion for the sport with anyone who wants to ride, and she is eager to teach anyone who wants to learn. She does motivational speaking to inspire women of all ages to get out and enjoy empowerment by bikes through her developing Ladies AllRide program. Lindsey lives in Bend, or with Kirt and their two precious pit bulls. A Kootenay girl of the Slocan Valley, BC. Heather Griffiths grew up as a child of the wild always playing outside and enjoying the outdoors with her sisters. 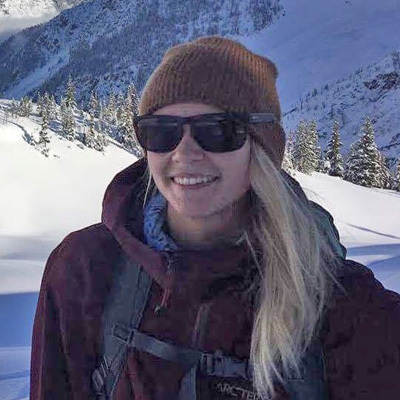 Through her travels, becoming a mom and all the steps in between one thing stayed strong and that was her passion for the outdoors, adventure and helping others. In 2010 Heather started working as a Nurse, followed by becoming a certified personal trainer this was her way of being able to encourage others to live a healthy active lifestyle. Some years later traveling through central america Heather watched her first stand up paddle board race, it only took that once she was hooked and determined. In 2016 she became a certified sup instructor as well founder of Knotty Boards a Stand Paddle board Company based in the Kootenays. Her journey now continues in the direction of her heart, continuing to help bring about a positive change in those around her, and seek as many great adventures with a full heart. Heather is thrilled to be a part of the Earth & Ocean team and building health conscious and inspiring trips to help people reach their highest potential and dreams of seeing the world. Jenna completed a 3-year program of Holistic Nutrition at Pacific Rim College. There she developed a strong understanding of Diet Therapy, Western Science of Nutrition Ayurveda, Traditional Chinese Medicine and Herbal Medicine. She specializes in women’s health, auto-immune conditions and whole foods living. Jenna is the owner of Alpenglow Holistic Nutrition, serving Jasper, Valemount and surrounding areas. She enjoys mountain biking, skiing and anything that will immerse her in nature. Owner & operator of Snowfarmers winter sled guiding company and Borderline Horse outfitting and day trips of Valemount BC. Canadian Avalanche Association Level 3, OFA Level 3. Tony Parisi is well known to Valemount as one of the pioneers of the sledding community. During Winter you will find him well above the tree line, with an average of 90 days a year guiding sled trips for his company Snowfarmers. His days are busy traveling by sled well across the Rockies, Monashees or Colombia from Revelstoke to McBride. He is a work horse and well respected in the industry with over 40 years experience. 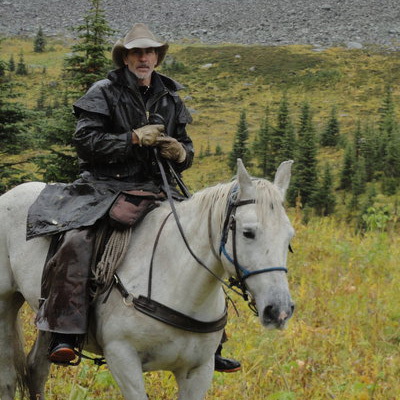 As the seasons change, in the Summer months you will find him at his beloved horse Ranch Borderline/Snowfarmers operating day trips and multi day horse pack trips all around the Valemount, Rocky Mountains and Mt Robson area. When not working he loves having family and friends around. A true character and entertainer. He is a father and grandfather to his 2 grandsons Ryder, Cruz and granddaughter named Snow. Snowfarmers has always been a place where everyone loves to gather, but we must admit many I think come to visit him. When you met him you will understand why! There is not many like the legendary one- of- a kind Tony Parisi. Manu born and raised in a little beach town in Agentina was always in touch with the ocean since he was born. His Grandma used to live in a beach town in Argentina, so any time that he had a chance since he was just a few months old, he used to go to the beach with his family. Surprisingly for the young age he was he started trying to swim. And never stopped. He was a natural water baby. Even though he lived in the city for many years, he took swimming lessons, swim at his school team, and every summer practiced boogie boarding until his 15 birthday. That is when he got his very fiirst surfboard. After years of watching the world championship tour on TV, and magazines and pictures, his dream came true. From that moment, he never stopped again. The beginning was very difficult. In time, he made his first surfing friends, which opened the doors of the real fun with surfing, and helped him to improve his surfing due to having someone to correct him and give him advice and the proper surfing skills and technique. Later on, he moved to San Diego, California, where he got a part-time job, while he focused his life on surfing as much as possible. His final stop was Costa Rica, where he started to make a life together with surfing and discovered how beautiful and fun it is to transmit his knowledge and passion to people, who have just starting to get involved with this addictive sport! You reach your next goals. 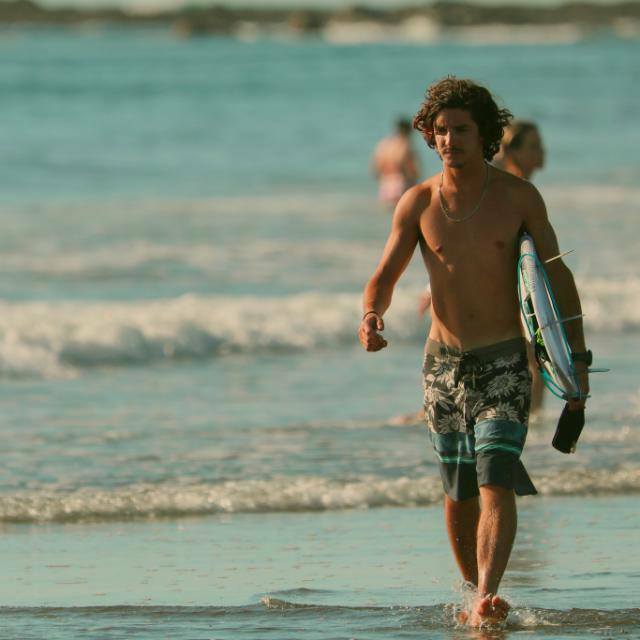 As we are expanding to not only Surf Retreats but also Surf Guiding Tours all around Costa Rica as well. Manu is very excited to be apart of the great team, to learn, grow and get as many people out in the water enjoying this beautiful sport and life. His word of advice is: surf always with friends, try to surf with people who are better than you and have fun ALWAYS, no matter what! That’s what surfing is about.